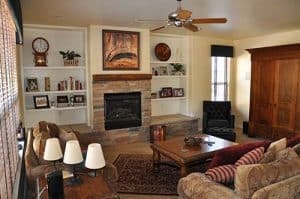 If it is time to start that basement finishing project for your Colorado home, whether it is to add a family and entertainment area, or put in an additional bedroom for guests, play area for your kids, we can design and remodel the perfect basement for you. Let Deyoung Brothers Construction help finish that dark unusable basement area, or remodel an outdated basement layout and turn it into something to be proud of. Once we start your basement finishing project, our goal is to not only create a functional luxurious space for you and your family, it is also to help add to the value to your home. 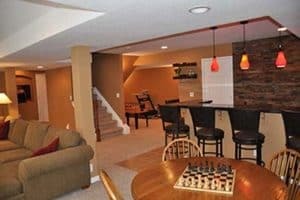 There are a lot of reasons to build out or refurbish your basement area. Many of our Colorado customers are looking to either add more living space to their home, create a play area for their children, add a bedroom or even a workout area. Especially in those colder months, having a basement as a recreational area for your family and you is well worth it. Not only will you save money, you will find that once started we will move quickly and efficiently with as little stress and hassle to our customers. With your input and our vision, ideas and design expertise, we will create a basement finishing plan that will utilize your unfinished basement in creative ways you never thought possible. DeYoung Brothers Construction is a Colorado licensed and insured contractor & have been in business since 2002. Our dedication to our customers whenever we do a basement remodeling is to always give them the high quality work at an affordable price. Let us show you how we can help make your basement into a reality. To schedule a free consultation, please give us a call at (303) 829-3374, or fill-out the form to "Get a Quote" and we will get back with you right away to schedule a time to meet.